Snack BarMama Katerina is here! PoolSun beds are free of charge! Roof GardenSunbathe in the heat of the Greek sun! Breakfast RoomBreakfast with a ...Greek touch! LoungeWith a large external terrace! ...your second home in the sun! Welcome to the Koala Hotel and the Patakos Family in Kos, the island of Hippocrates, father of medicine. Friendly, hospitable, family run Hotel, located near Kos town center, just enough to be quiet at night, but near enough to explore the town. The family with the support of the extremely service minded staff will make your stay as comfortable and enjoyable as possible. The tone of “nothing is too much trouble” pervades the place. At the Koala Hotel they don’t just welcome you to their Hotel – they welcome you to the Family! Stay 7 nights and pay only 6! Stay 14 nights and pay only 12! 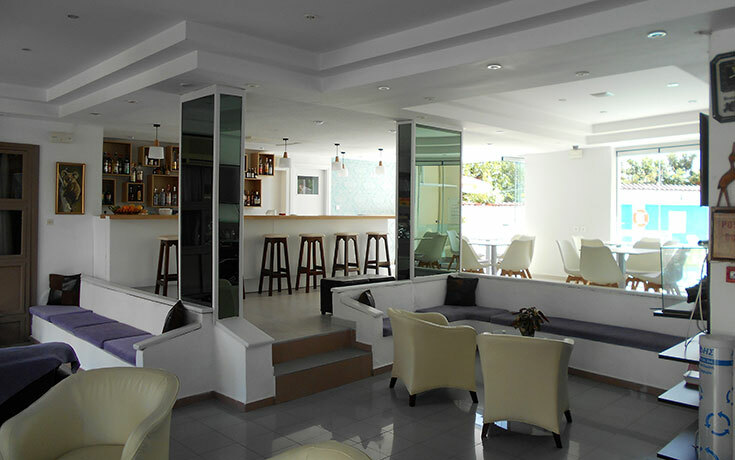 The Hotel offers special prices to explore Kos island. Special offers apply only on bookings direct on our web site. News & EventsNews of our hotel & local events! Take advantage of our low seasons rates! Thank you for your reviews on Tripadvisor. We would like to thank our guests for their contribution! Renovated rooms ready for season 2015! This year we will double your contribution! Breakfast Upgrade! Starting from 2013 Summer Season! Taking into account the comments of our customers, this year we are upgrading our breakfast with additional products such us toasted slices of bread, feta cheese, local cheese, salami etc. NewsletterStay updated with our summer offers! Hotel KoalaYou are just one phone call away... or e-Mail us!